Summary: After a car accident kills his loving family, a daring neuroscientist will stop at nothing to bring them back, even if it means pitting himself against a government-controlled laboratory, a police task force, and the physical laws of science themselves. 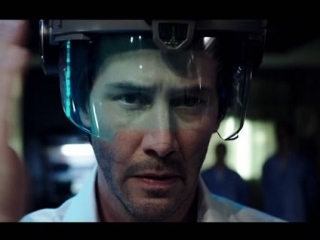 In Replicas, Keanu Reeves is a scientist working for a company in a South American country focusing on cloning and trying to preserve the human mind on a computer. This turns out to be super convenient as the scientist loses his wife and kids in a car crash. 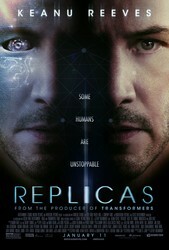 Grief-stricken, he clones theirIn Replicas, Keanu Reeves is a scientist working for a company in a South American country focusing on cloning and trying to preserve the human mind on a computer. This turns out to be super convenient as the scientist loses his wife and kids in a car crash. Grief-stricken, he clones their bodies and transfers their consciousnesses (as one does). What results is a surprisingly amateurish effort considering the lead. The dialogue is pretty weak. People do things that don't feel natural. 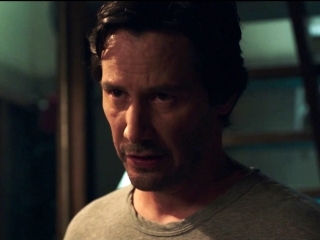 Weirdly enough, the movie explains certain things pretty thoroughly and interestingly, such as the whole lazarus/rebirth process, while other plot points are just revealed abruptly and sloppily. The acting doesn't help things either. Keanu is on autopilot here. The guy who plays his boss is hit-and-miss. But it's Alice Eve (She's Out of my League; Star Trek into Darkness) who has the worst performance. She acts like an animatronic. (And yes this is even before the cloning. It isn't a something-went-wrong-type situation.) She has two facial expressions: slightly happy and slightly worried. On the plus side, Silicon Valley's Ben Middleditch is the only one who manages to make all the dialogue work. My hat off to him. It's sad that this movie was botched so badly because the actual general story could have worked. The concepts they explore here are fun and fascinating. A lot of thought did go into how they brought the family back. To it's credit, the film does look really good. It has excellent color use and picturesque filming locations. This critic perceived it as I did, a movie blundering into areas of values and morality--without anything to say. Only for the bored on Redbox. 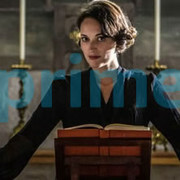 Jan 14, 2019 St. John's script is the underlying bug in the code. 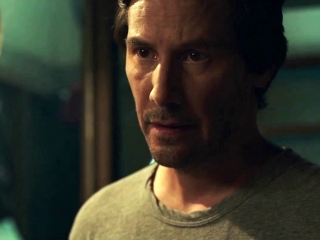 Science fiction is at its best when it's aThis critic perceived it as I did, a movie blundering into areas of values and morality--without anything to say. Only for the bored on Redbox.